The Enne Luci SP Pendant Light by Vistosi has been designed by Romani Saccani Architetti Associati. The fixture is Available in different typologies. Enne luci is a reinterpretation of a recognizable design made with a blown glass in opal white or mirror finish for a more contemporary look. 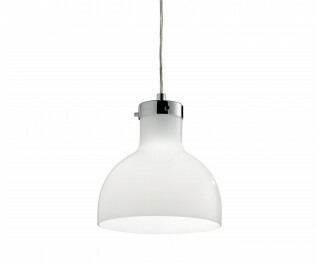 This beautiful suspension delivers a free light that will fit in any room of your home.